Sussex Police has been using plain clothes police officers to arrest homeless people who are then fined for begging. This approach does nothing to alleviate homelessness, instead creating a cycle of punishment and further poverty. 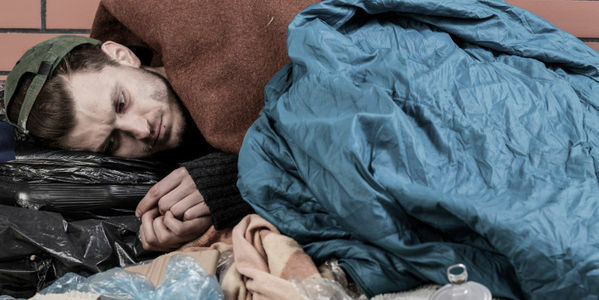 Please sign this petition to ask the Sussex police stop arresting rough sleepers and having them fined for non-aggressive begging. Many of the rough sleepers who risk begging are particularly vulnerable and desperate. Some are struggling with addiction, a problem which requires understanding and support. Arrests and unaffordable fines are not a compassionate or effective response. Please sign this petition and demand that Sussex Police stop arresting rough sleepers. It's time to stop the cycle of poverty and fines, and find more appropriate ways to respond to the issues facing local homeless people. Thanks so much for the signatures, shares and thoughtful comments. After a great community demo in Brighton to highlight the needs of rough sleepers, the petition was delivered both in person at the town hall, and electronically. It will be taken into consideration as part of the current Rough Sleepers Strategy consultation. It has also been sent to the newly appointed Police and Crime Commissioner. You can still sign, share and comment until we get this unfair practice overturned.